Last night I received the sad news that an old friend had passed away. I have previously posted about the Ellis Brothers here. 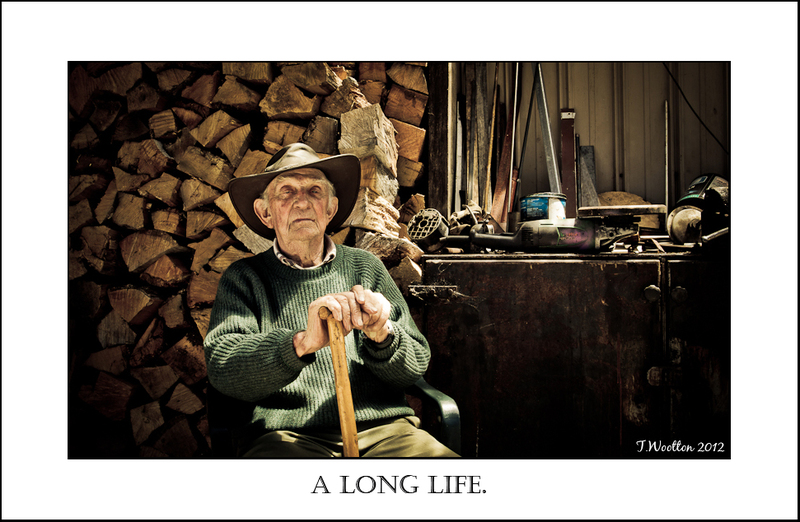 Alec Ellis passed away earlier this year and Mort suddenly died a couple of days ago at the ripe old age of 98! Like their brother Ossie, they were still active at the time of their passing so thankfully they all died ‘with their boots on’, Mort had been down to the nearest town, Sheffield, to get some groceries earlier in the week and looked fine according to a friend. 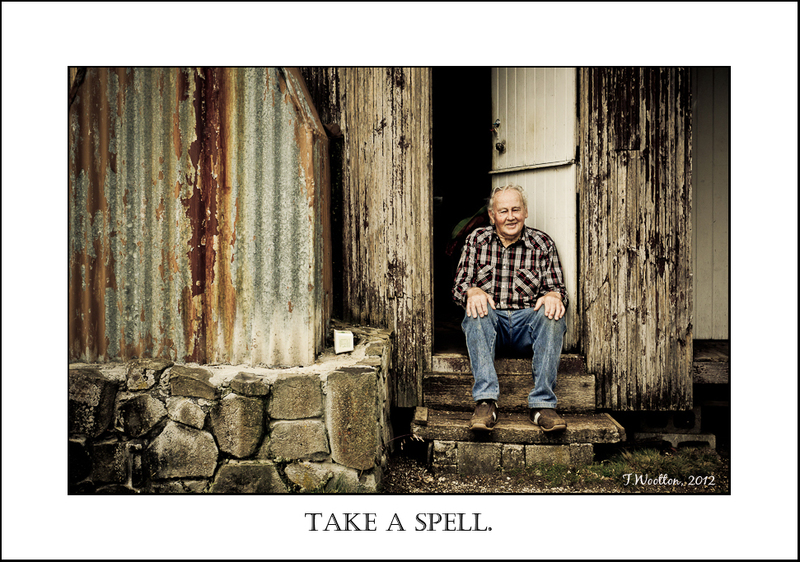 Thankfully, I had called in to see him back in August when I was last in Tasmania and he was still in fine form, living simply in his shack at Cradle Mountain, expounding passionately on the evils of man’s greed and it’s effect on the natural world, still tinkering with his perpetual motion machine. 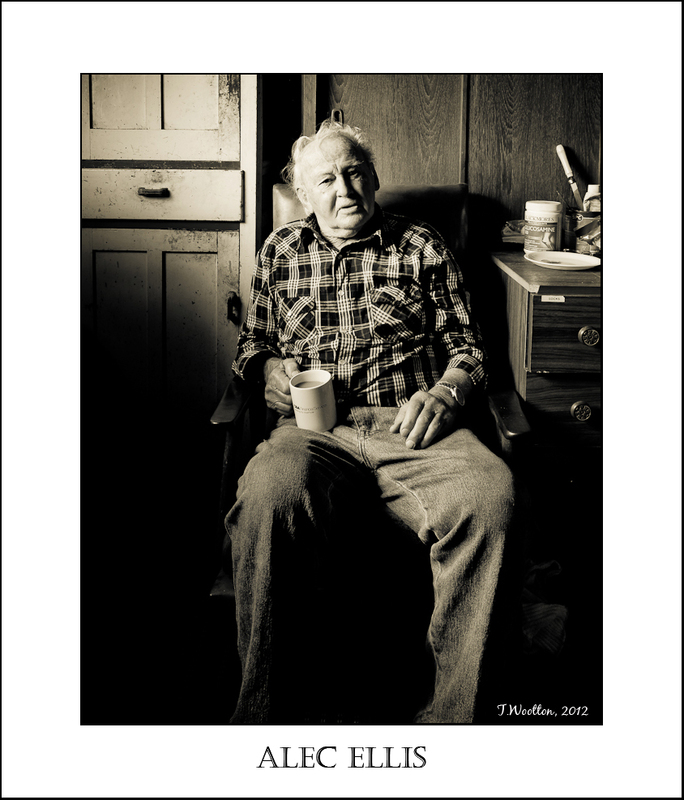 Axeman, trapper, cheesemaker, fisherman, miner, sawmiller, ferry-captain, these were just some of the occupations that Mort found himself in during a knock-about life that had it’s fair share of hard times. Tough men during tough times, but for all that, Mort,Alec & Ossie were incredibly generous, with a twinkle in their eye and a humour that was uniquely Tasmanian. 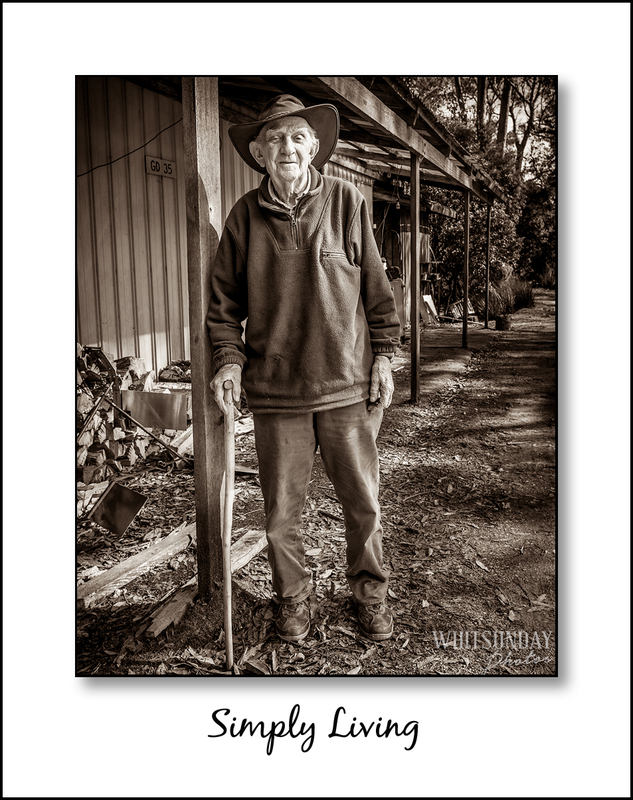 When I last saw him, Mort was a little bemused to find himself on the cover of a book, “Through Their Eyes- Glimpses of a Changing Australia” by Lucy Taylor, Published by Brigalow Press in which the author had travelled Australia recording the stories of people such as Mort. Well worth reading to hear the perspective of a generation that has seen more change than any other! 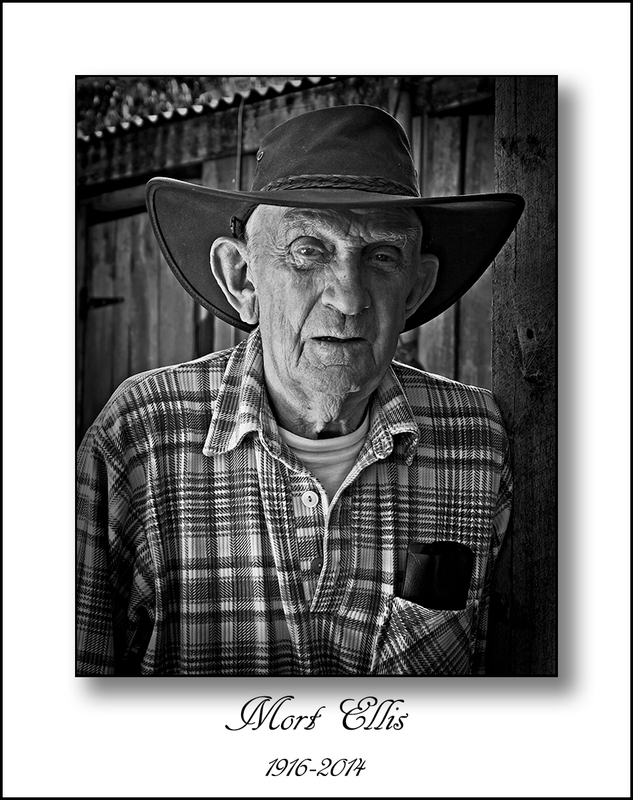 This time I didn’t make any photographs of Mort, in the past he has been very patient & generous with me and I was able to capture some nice shots of him and I have some great memories of a good friend to me & my late father. Although he was not particularly sentimental and he always maintained that there was no ‘afterlife’ as many people would like to believe, I hope that if there is, he catches up with my father and his two brothers over a cold Boag’s or two and have some of those spirited debates that they were all so fond of having! 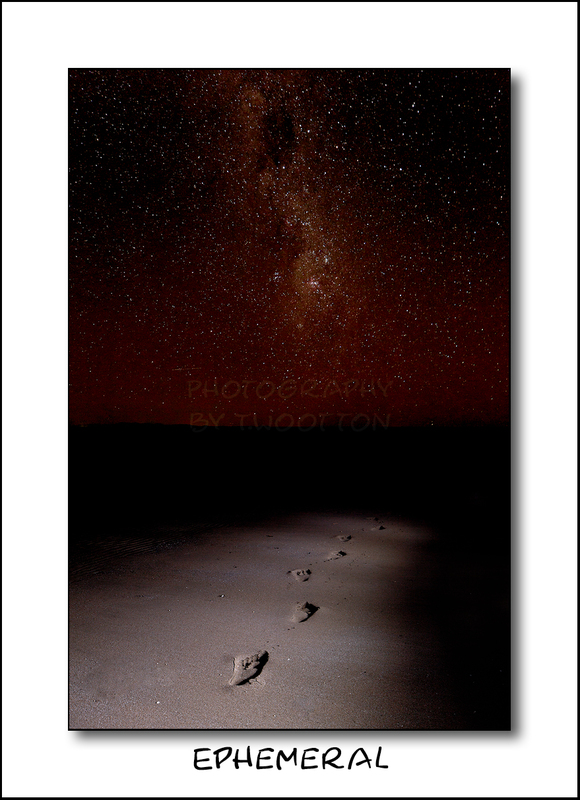 Went down to Conway Beach the other night to have a crack at some star photography, ended up doing a little bit of lightpainting and finished with an image that is my take on where the human race stands within the bigger picture! Scotland has some dramatic scenery, especially in the Western Highlands where I spent 10 days driving around. 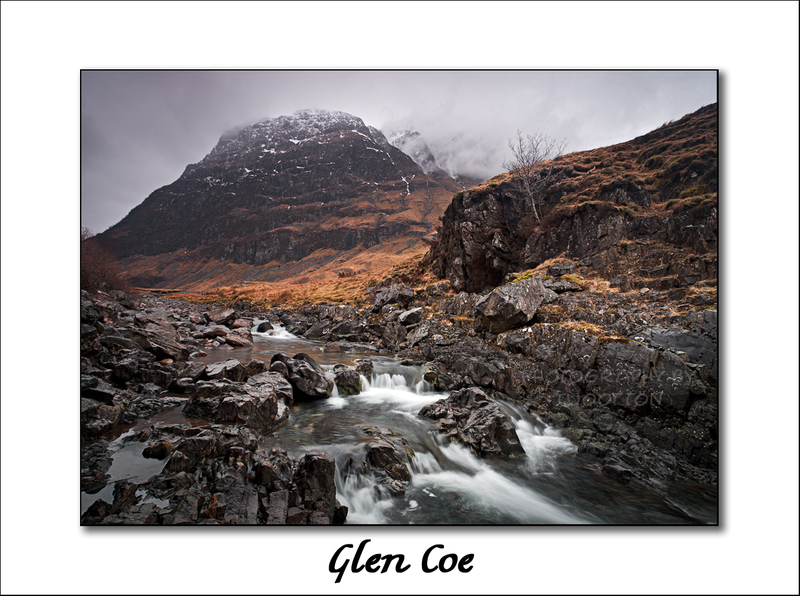 Some of the most spectacular is in the Glen Coe region between Oban & Fort Williams. Unfortunately i was dogged by wild weather during a large portion of this period, with strong wind and persistent light rain that made for difficult shooting much of the time. The locals were fond of telling me that I should have been there a week ago. “Aye, we’ve been suffering a drought!” was a common comment! I returned to this spot a few times in the hope that the weather would let up just enough to make the most of this location. Cloud I could deal with, but rain was the killer! This was a shot I was forced to make by climbing down and shooting from under a bridge to escape the light rain that was frustrating me. Not the shot I wanted,but It came out well none the less! Just out of sight behind a small ridge is a solitary whitewashed farmhouse which really gives the towering mountain a sense of scale. That shot will just have to wait I guess! After a couple of months hanging out in Europe, I am back! Been a while since I have been o/s so this little trip was well overdue! 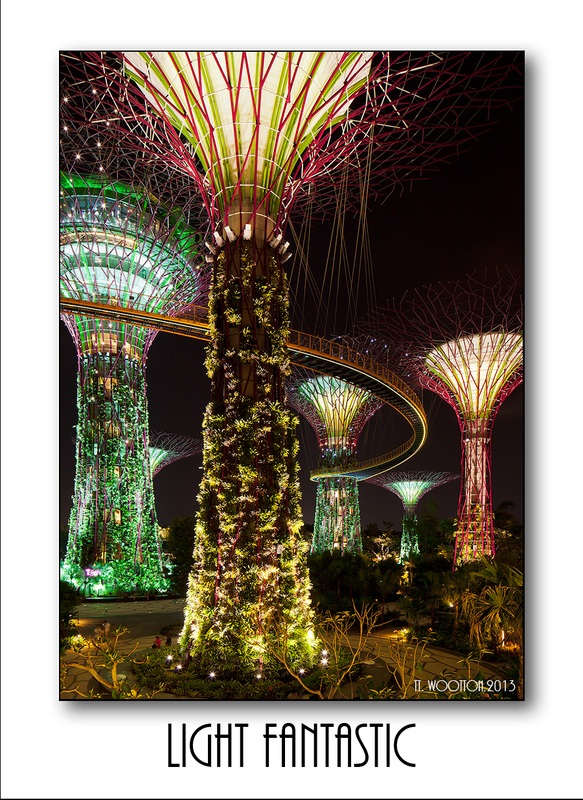 Briefly, My itinerary was Aus.-Singapore – Belgium-Scotland -Belgium -Singapore -Aus., saw some pretty cool things along the way and even got some photos as well. To avoid the looong flight to Europe, I decided to have a break in Singapore both ways which is a little adventure on it’s own. Last time I was there was 2004 and there have been some changes! One thing I noticed about Singapore is that they are always building something new and when they do they don’t stuff around. Money seems to be no object and I suspect that environmental groups don’t get much of a hearing in the planning stages. 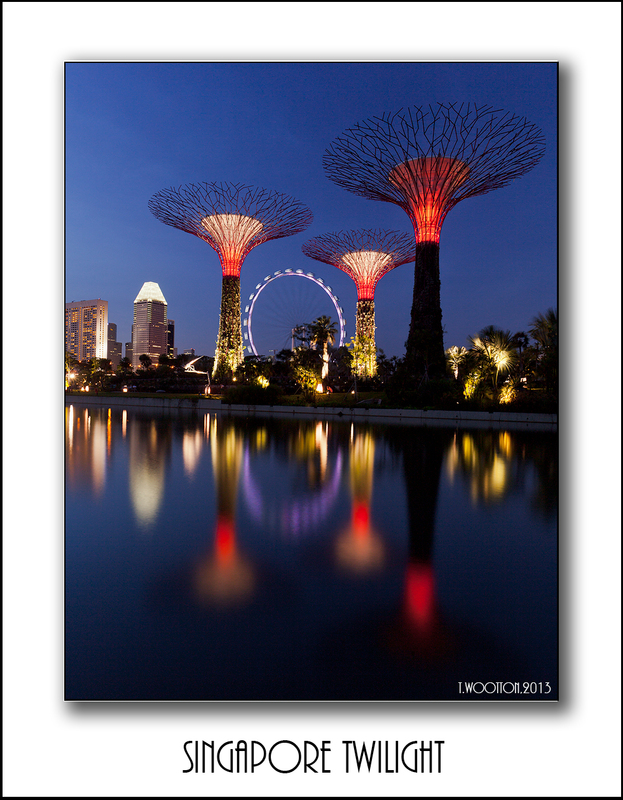 One thing I like about Singapore is that it is firmly striding toward the future but that doesn’t mean that the past will be forgotten either so the modern,ritzy side of Singapore seems to sit comfortably alongside the older,slightly crumbling areas such as Little India,Geylang and Chinatown. Many cultures,faiths and ideologies appear to co-exist harmoniously in this island state. 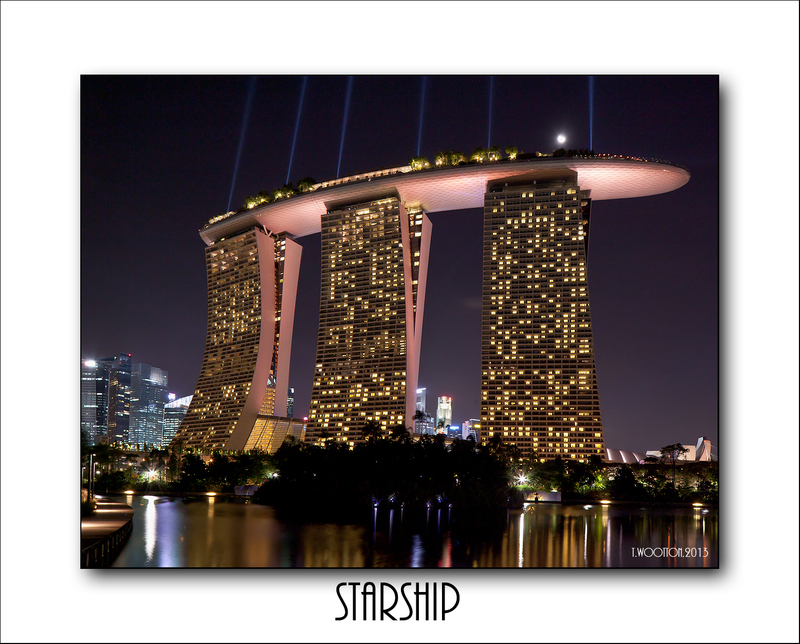 i had seen some photos of Marina Bay Sands & Gardens by the Bay on postcards so I thought I would go & see if I could get some dusk shots. Even so, I wasn’t prepared for what I came across! To put it mildly,the structures in the following images are fantastic flights of imagination that have been brought to life. 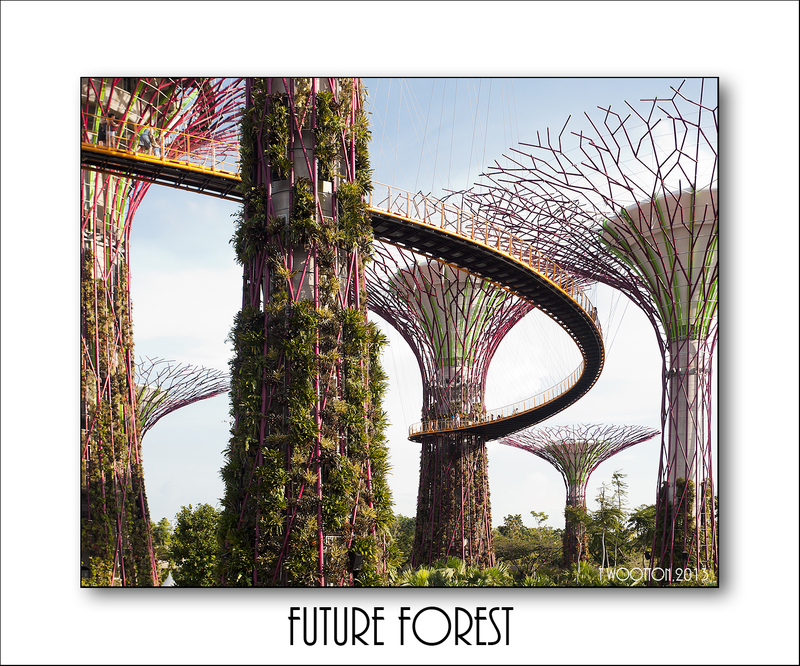 Gardens by the Bay is a huge botanical garden in which they have built these stylised trees and the really cool thing is that eventually they will be covered in foliage themselves. All this is free to walk around except if you want to go on the suspended walkway and I think there is a cafe in one of the trees. A bit hard to get your head around the scale & cost of all this i have to say. Off to the left is a building that houses a rainforest with canopy walks etc. As evening approached I found a spot down by the artificial lake to get some shots of the Marina Bay Towers which I will just let you see for yourselves. I always thought the Spanish designer Gaudi had access to some good “gear”, but not on a scale like this! Although I didn’t go up to the observation deck where there is huge swimming pool just walking through the middle tower was an eye-opener’,opulence on a grand scale! Twice an evening they do a laser & light show set to music from the other side of the towers of which you can see glimpses of here, but that’s another story. After spending an enjoyable hour or so with another photog who filled me in on some other things to shoot, it was time to see the ‘show’. Heading back up to the main arena, it was like stepping into a futuristic fairytale. An Aussie band was doing a free concert and the lighting on the “trees”was set to the music. Pretty cool to watch, I probably should have taken a movie on the iphone but I was just trying to find places to take stills that weren’t obscured by the many trees in the area. I was a very tired but happy photographer when I arrived back at the hotel late that evening! Off to Europe next. Your Family & Friends are important subjects! Apologies for the long absence from the blogosphere although I have been checking you all out occasionally! 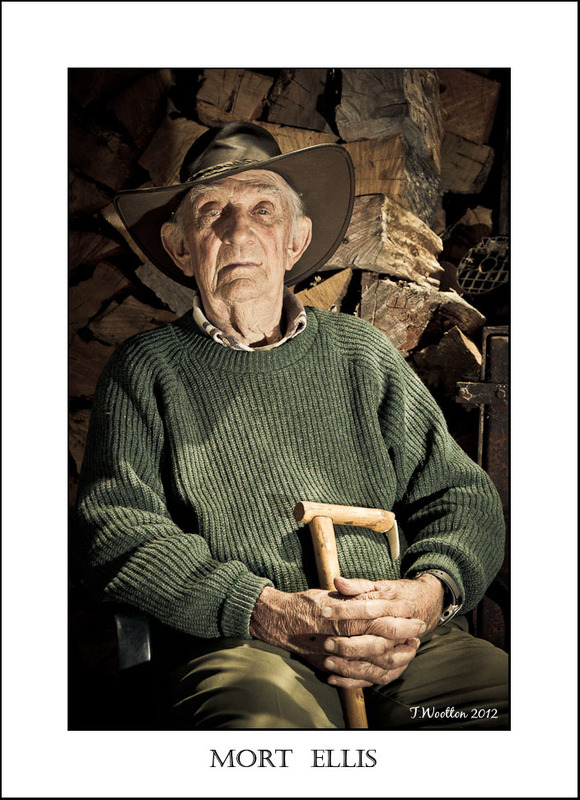 The reason for my absence is that my father of 92 years of age passed away about a month ago down in Tasmania. Luckily, I did get to see him before he went although he was not concious at the time. It was while we were putting together some photos for his service that I realised that I didn’t have any images of him that I had taken and there were only a couple of images of us together that thankfully another family member had taken. There was also a long period of his life where there were very few photos of him at all which effectively meant that most photos were happy snaps taken in his early years or his later years! After his service, I thought about this and came to the conclusion that peoples memories of him were his best legacy and it also made me realise that although I have been a photographer on & off for many years, I had always put people in the ‘too hard basket’ for various reasons. So, I have resolved to try and become a better people photographer because most of us are guilty of taking our family & friends for granted and they won’t be there forever! A couple of good friends of my father’s invited me to stay with them up at Cradle Mt. while I was there, so just to put things in perspective, I took them up on their offer. 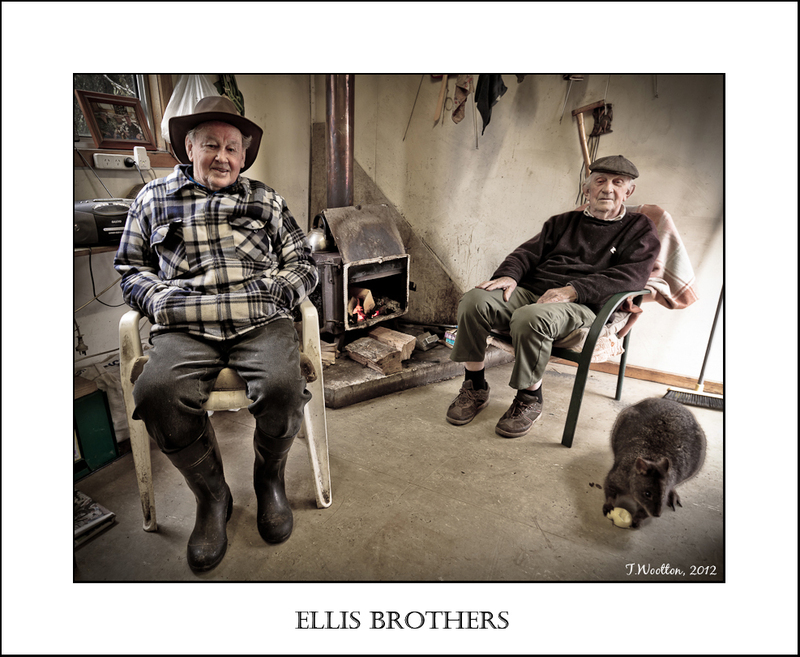 The Ellis brothers who I have posted about previously, are men from a different age. Tough as nails and with a body of knowledge in their heads that is slowly disappearing as one by one they pass on. While I was there, I had an opportunity to capture them in their environment and hopefully try to bring out there personalities on “film”. Mort & Alec live in a couple of spartan cabins right on the edge of the Cradle Mt Nat. Park. Along with their late brother Ossie they had extensive land holdings in the area which they have subsequently sold for tourism development. Surrounded by tourism accomodation, most visitors to the area don’t even know they exist. Mort is the oldest brother, 95 yrs young and still keeps himself occupied with making his own cheese and ínventing’ perpetual motion machines! He has a great singing voice and is convinced that all the woes of the world are caused by man’s greed for money. To listen to he & my father passionately debate this issue was an education in itself! In spite of his advanced years he is still as sharp as a tack with a healthy sense of humour and a twinkle in his eye. Still drives his car down to the nearest town, which is an hour drive for most people, along steep winding roads at a very healthy pace! Alec, his younger brother lives semi-permanently in a cabin separated from Mort’s by a large machinery shed. 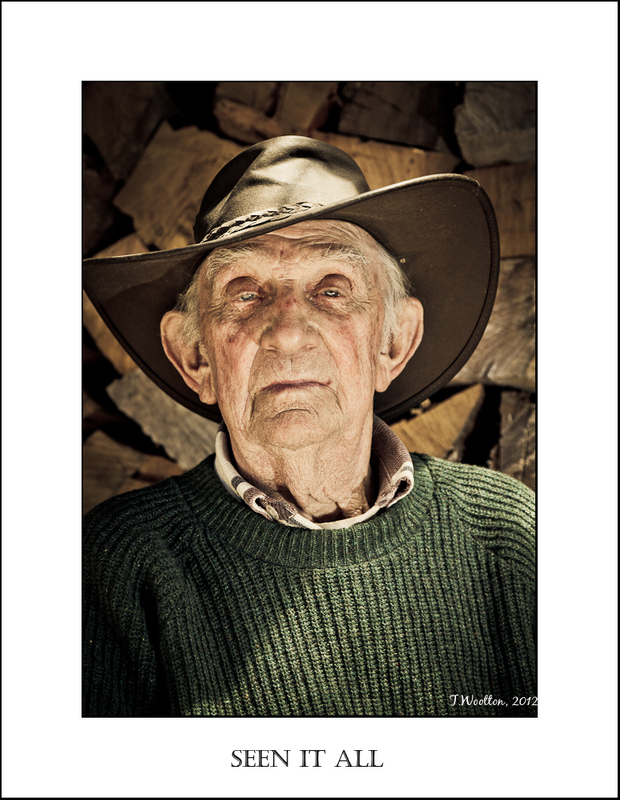 Alec is the ‘entrepeneur’ of the family, he , along with Ossie saw the opportunities in the Cradle Mt. region many years ago and together they built the first commercial accomodation, built in the area, Pencil Pine Lodge. At heart, Alec is most happy when he is at the controls of an earth-moving machine of some sort and is always tinkering with something along those lines. His cabin is a single room shack that was an old Hydro shack he saw on the back of a semi-trailer one day and later bought for around $100. One of the worlds great talkers, (heaven help you if he calls you on the phone!) he knows everyone, has a great fund of stories and is always seeing new opportunities and has a heart of gold as well! One day these two great old men will be gone, I am proud to have met them through my father and the world will be less for their passing. 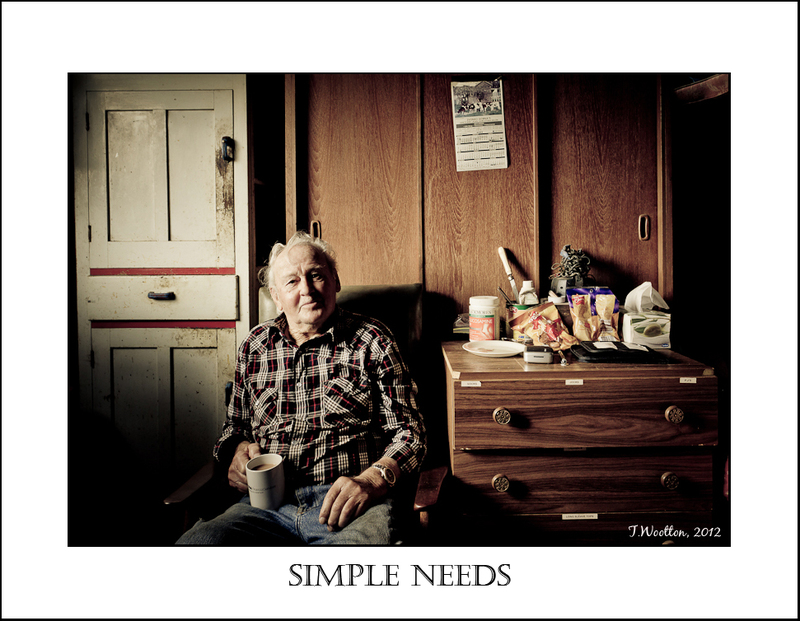 In the meantime, I hope I have captured them in a way that shows the essence of these two ‘old timers’! I am just about to see if I can put together a good image of the moon rising over Cedar Ck Falls. 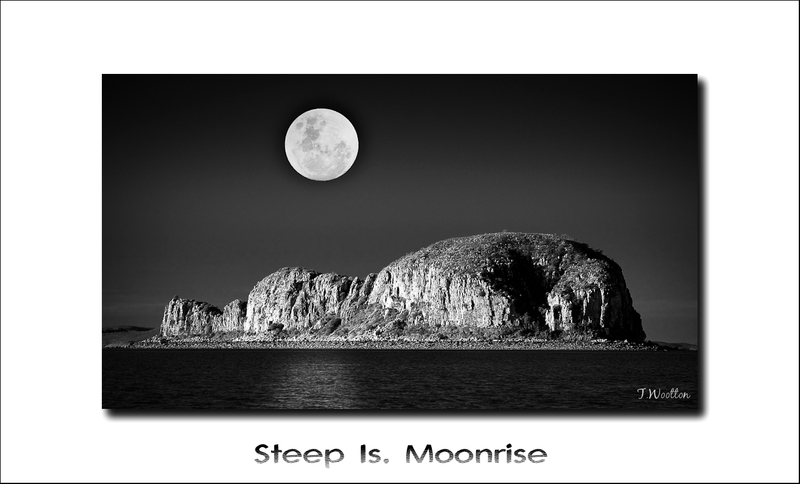 As i was sitting there thinking about how to go about it, I was reminded of an image I have of the full moon over Steep Is. in the Kimberley. This was just an experiment to see how to put together a composite image but it came out so well that I thought I would share it with you all! The beauty about this image is if you were in the right spot and the moon was in the right spot, this could be real (ish)! 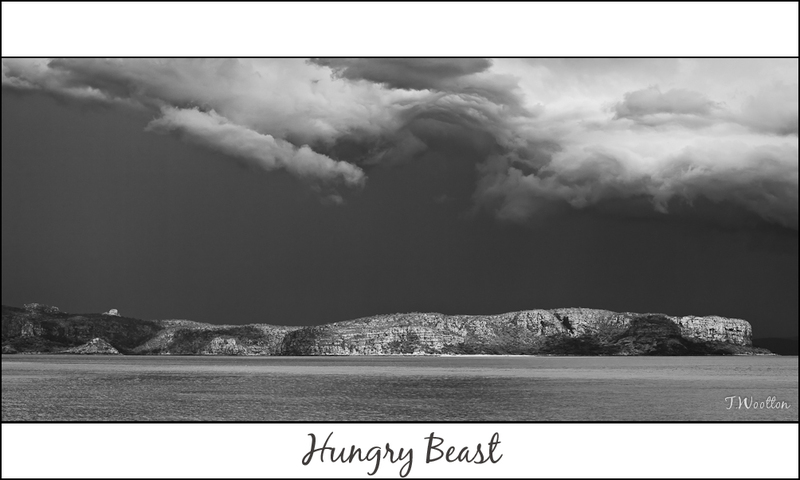 David Bettini and Mark Stothard have been posting some great shots of storm clouds they have encountered during their recent trip along the Kimberley Coast. Once again I have been inspired to have another look at a stitch of an awesome looking storm that swept across Prince Frederick Harbour. Decided to do a monochrome version as i was having trouble getting the colour version to look just right. This place seems to be a storm magnet and as Master of the vessel I was on, I was watching this pretty closely as we were in the middle of passenger tranfers by Helicopter! As it turned out, it passed by with little effect but I got some great images while it was around. Hope you like this one! Three posts in one week!? I’ll be taking over from Mark soon if I am not careful!